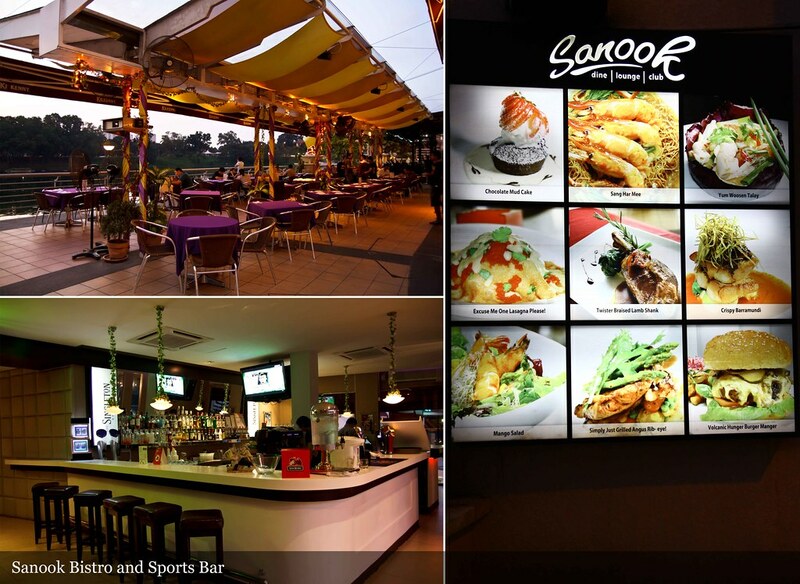 Tucked away in Kelana Jaya, Sanook is a hidden fun place that creates an environment for you to enjoy good life in two levels, which is Alfresco@Sanook and Arriba@Sanook. 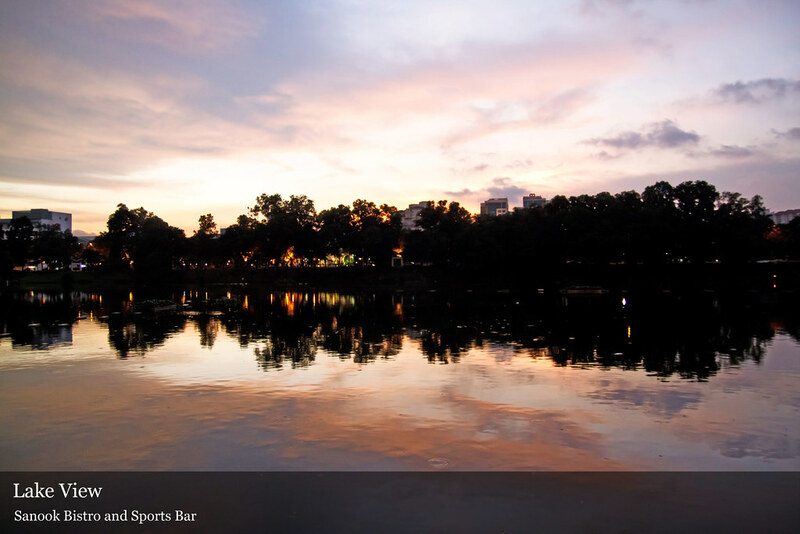 Alfresco@Sanook is the dining area at ground floor, which allow you to sit back and dine in tranquil, facing the lake with slow breeze caressing your cheeks especially in a windy day. 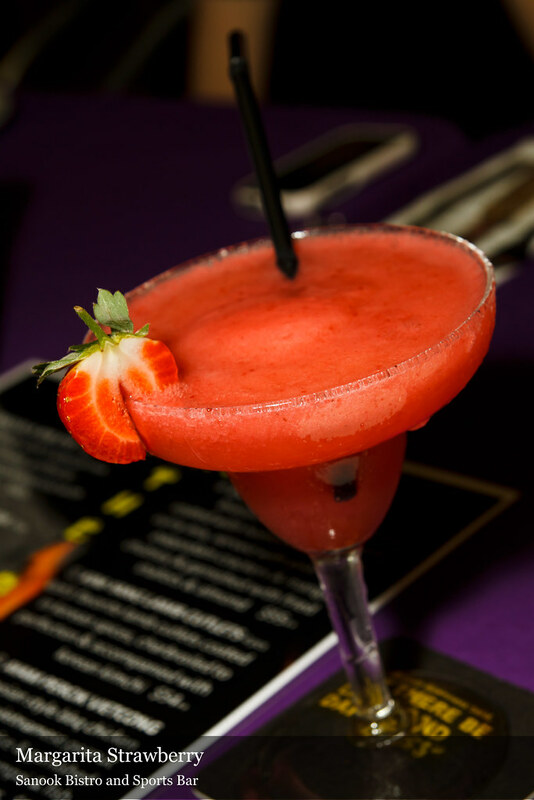 Arriba@Sanook is located at the first floor where you can enjoy your meal with the latest hip hop, R&B and rap music playing all night long. Also, you can have fun game of pool and large flat screen TVs for sports channel with your cocktails, beers, wines, whiskies, brandies, name it they have it. 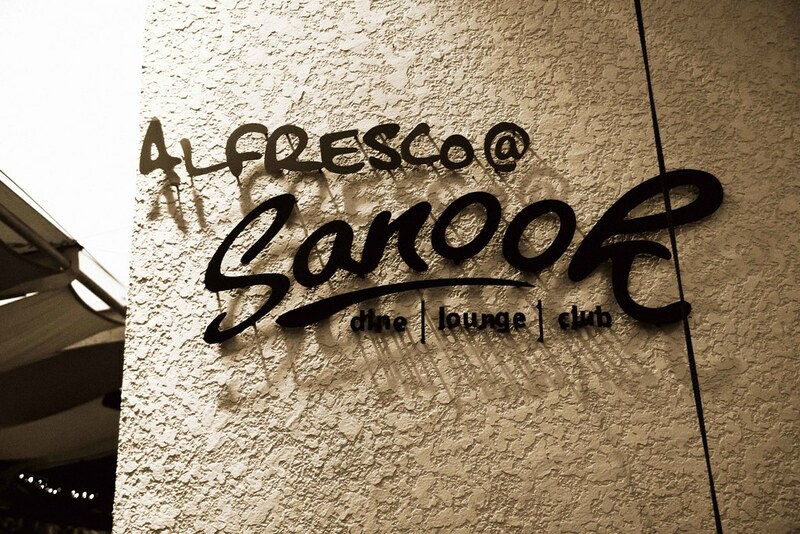 The night, we had the chance to dine in Alfresco@Sanook that serves the best dished from Asia, Europe and America ranging from Asian curried and noodles, traditional Italian pasta and wood fire pizzas, juicy American shops, original Angus steaks to tapas, canapes and desserts from a variety of culinary and cultural background. The meal started with Macho Nachos, the crunchy yellow corn tortilla with spicy zing, topped with hot chicken tomato salsa, beans and melted mozerella cheese. 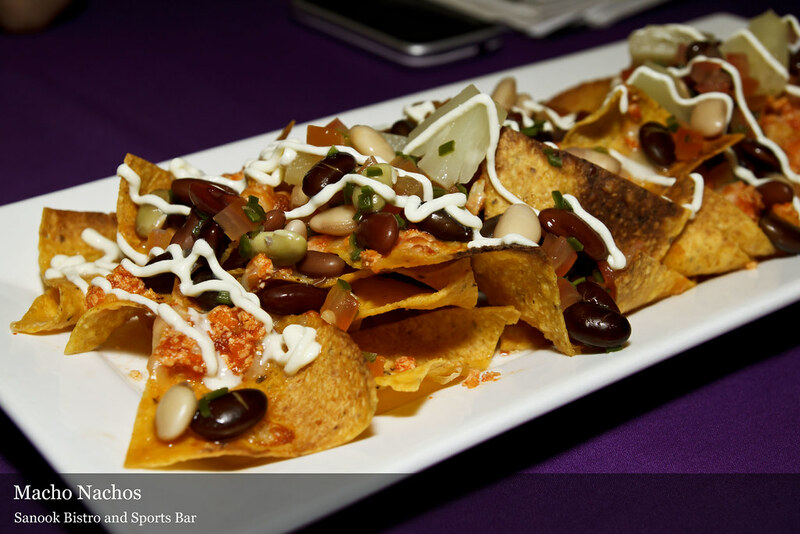 If you love nachos, this is the appetizer you should order for in Sanook. 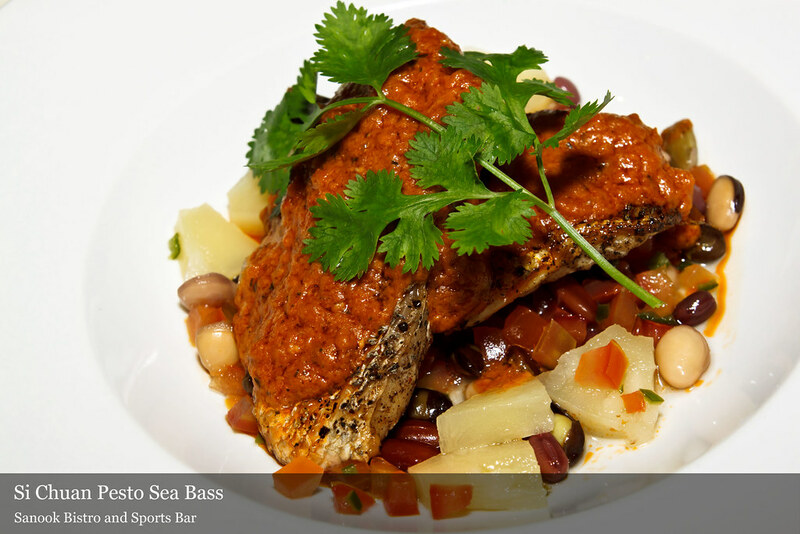 Nicely grilled sea bass served on bed of sun – dried tomatoes and cashew nut, pesto, accompanied with meditterenean bean citrus salsa. 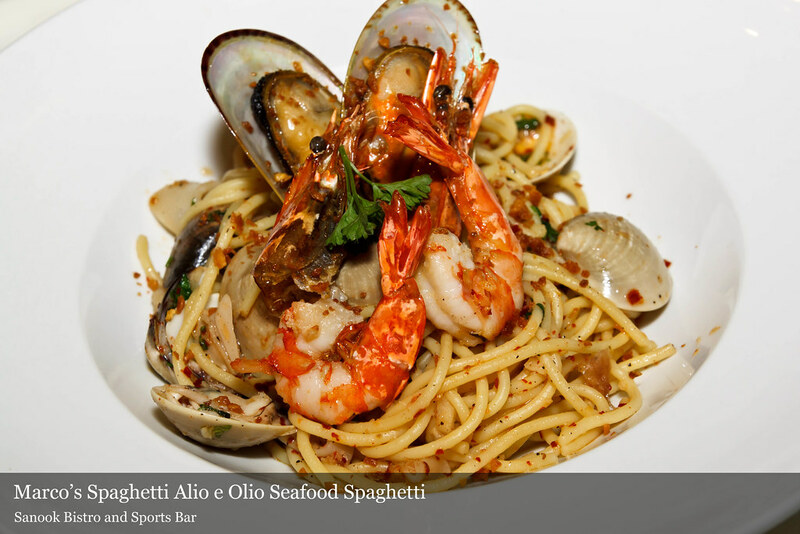 Marco’s Spaghetti Alio e Olio Seafood is one of the chef’s recommendation among all spaghetti. This is Marco Polo’s favourite meal with an asian twist in which the fiery pasta served with fresh tiger prawns, mussel, clams & squids, flavored with coriander, crispy garlic and chilly flakes. 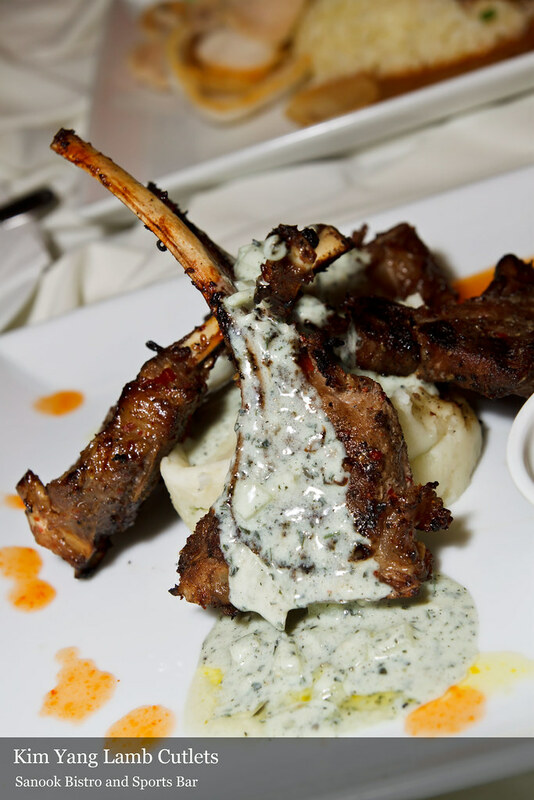 Kim’s favourite lamb cutlets is another fusion dish served together with Korean style. The lamb is coated in Korean spices, charbroiled to perfection and accompanied with the Korean kimchi as well. 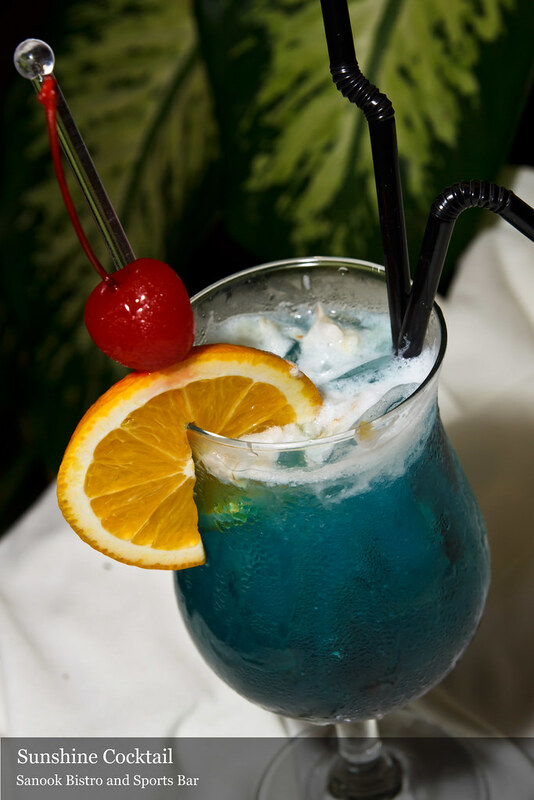 This is one of the famous snack which you should not miss out in Sanook. 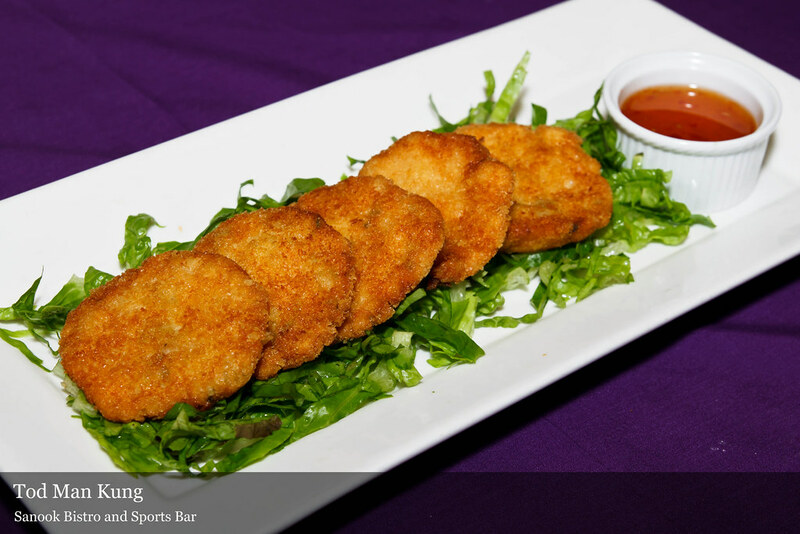 Shrimp cakes are deep fried in thai style and served with sweet basil. Of course, this is definitely a must ordered snack when you are having your beers. 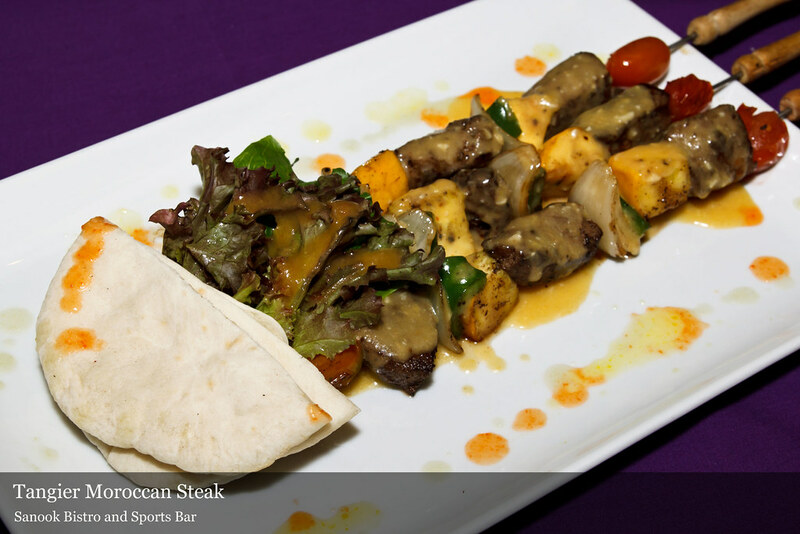 Sirlion steak in tangt apricot glaze, grilled to perfection and served with fresh homemade pita bread and garden salad. 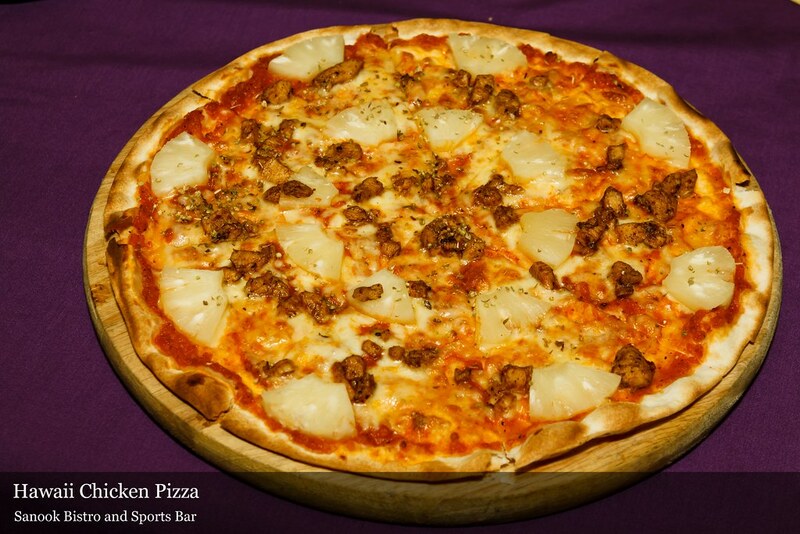 The paper thin pizza is so good with the chunks of minced chicken, pineapple, tomato spread and cheese. 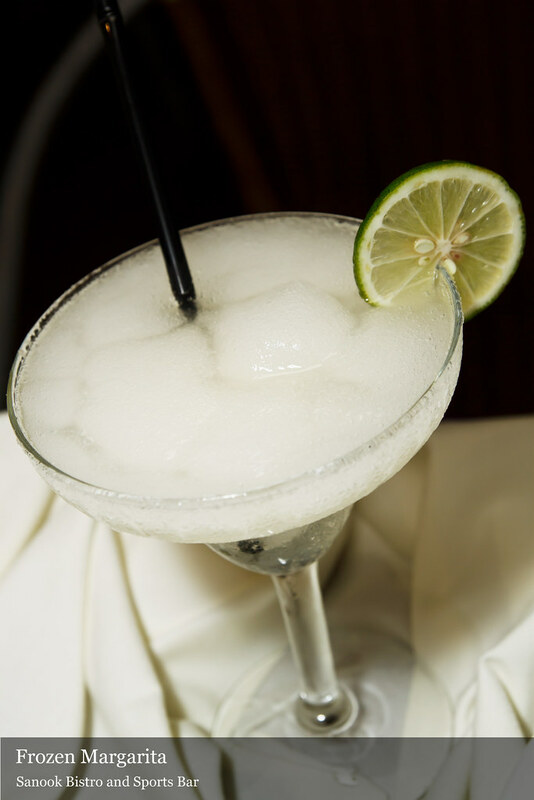 Good for sharing without overloading your stomach space. 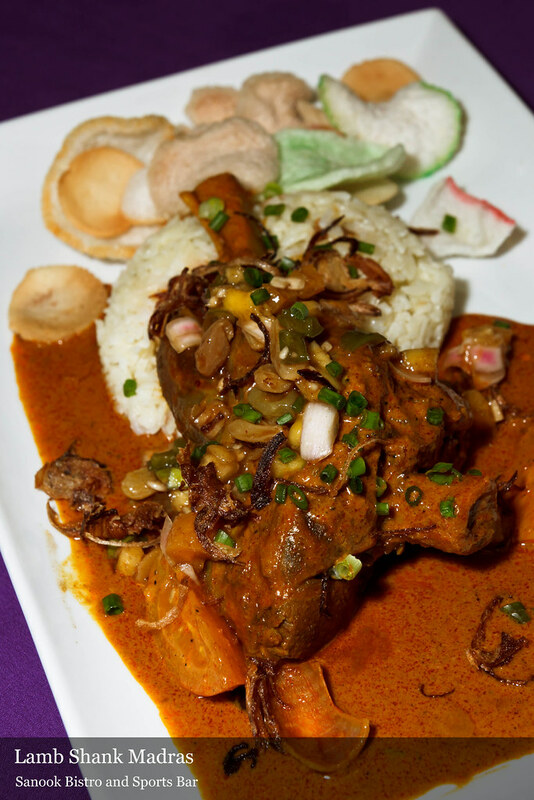 Braised tender lamb shank coated with the homemade madras curry mix served with pilaf rice, papadam crackers and mango chutney and garnished with fried shallots and almond. 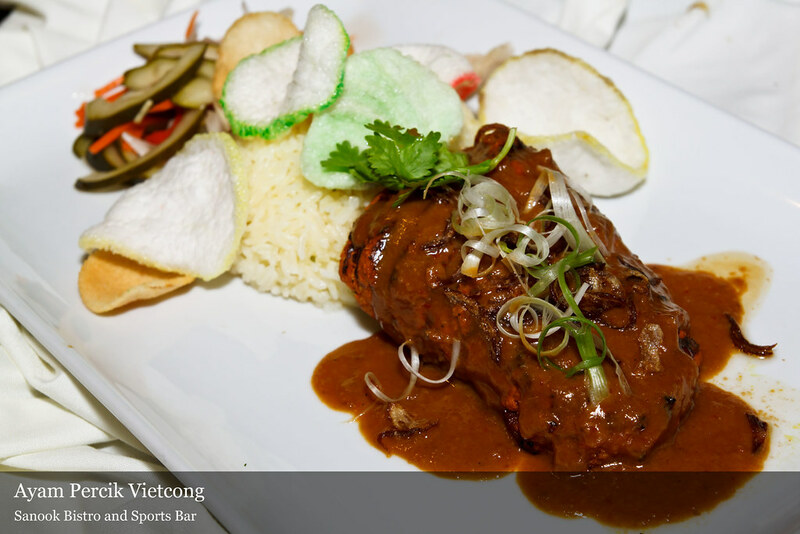 Malaysian style BBQ chicken served with vietnamese peanut sauce and pilaf rice and garnished with spicy acar rampai and fish crackers. This is another unique dish in Sanook which highly recommended by the chef. 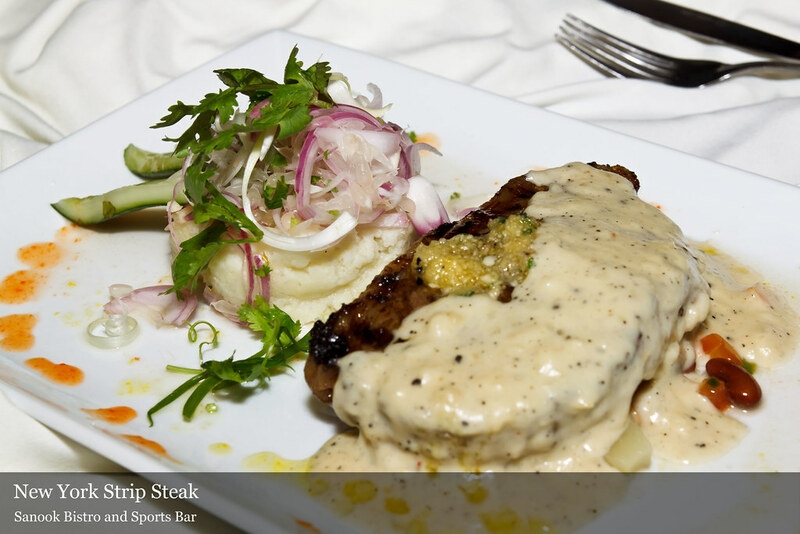 Best cuts of beef strip steak (250g) roasted tenderly in special roasted garlic marinade and served with pomelo and sweet onion salsa and creamy garlic sauce. Getting bored with the usual fried chicken wings out there? 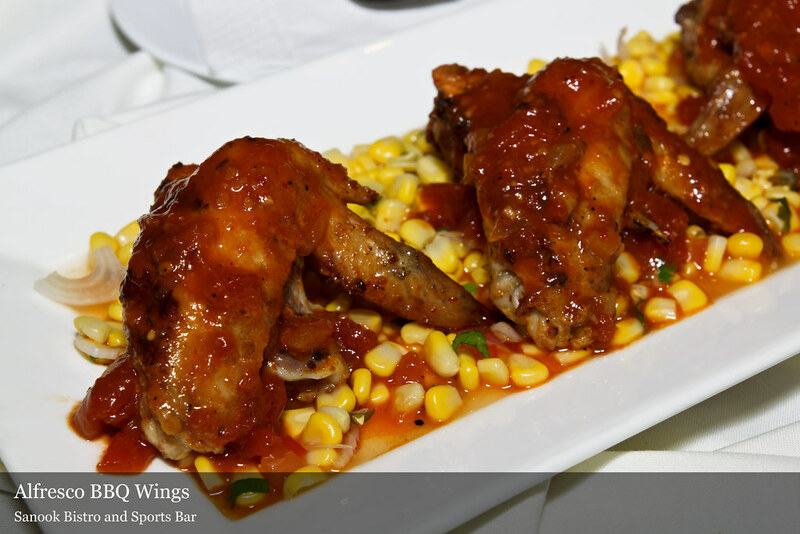 Well, Sanook has come out with their own creation of hot & spicy smokey chicken wings which served with roasted herb garlic and sour corn mojo, accompanied with sanooks’s signature BBQ sauce. 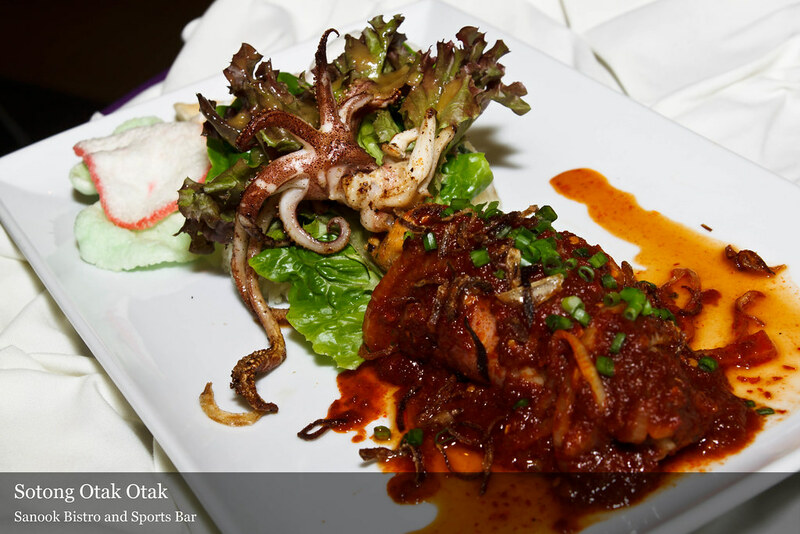 Grilled whole squids (250gsm) stuffed with prawn otak otak or also known as spicy prawn paste, served with sambal tumis (shrimp paste chili sauce), pilaf rice and garden green garnished with prawn crackers. Even their regular customer recommended us to taste this special dish. 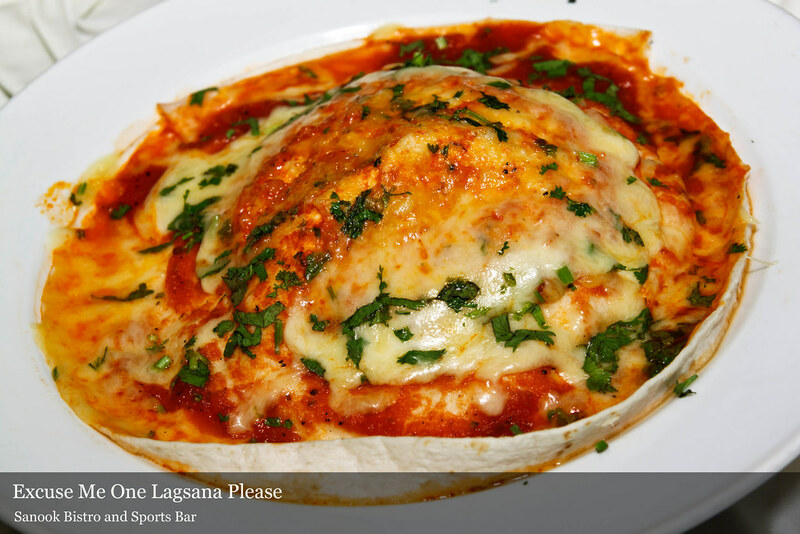 “Excuse Me..One Lagsana Please!” Did you ever think of naming your lagsana with such interesting sentence? Well, we were quite suprise having to know that Sanook has named their lagsana with this unique name. This is the home made chef’s special, delicious lagsana layered with crepes, lavished with bolongese sauce rich with cheese, zucchini foundae and cream cilantro. You can choose between the choice of beef or chicken. 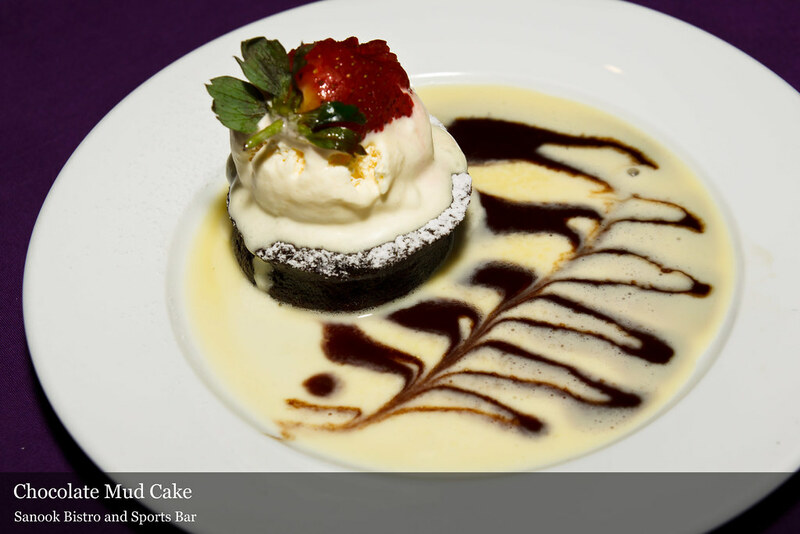 The meal was ended with their speciality desserts and one of it would be the Chocolate Mud Cake. The savory mud cake is served with haagen Dazs Vanilla Pecan ice cream on vanilla sauce. 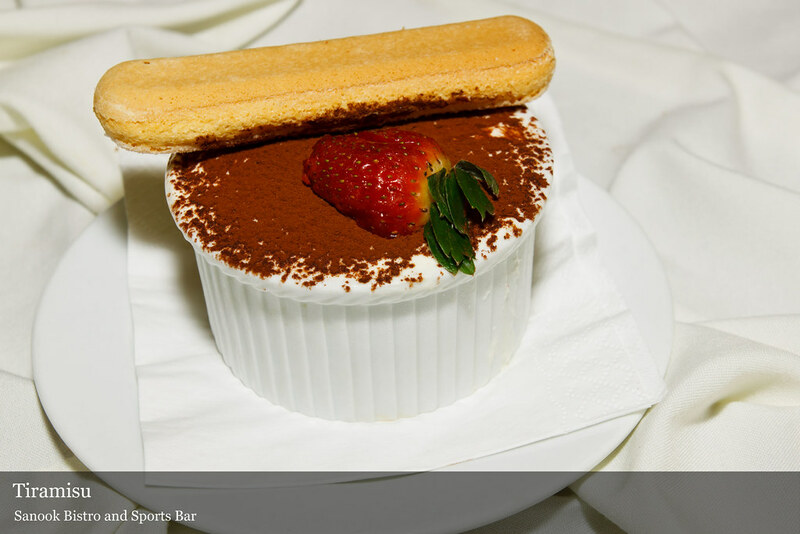 Lastly, we get to taste their signature Tiramisu. This is one of the old time Italian favourite where the sponge cookie on top of it can be soaked into the strong coffee which come along with mascarpone cream. This plaza kelana jaya parking management are really bad/rude like gangster.